The NuFace is an at-home use device that supposedly tightens and tones skin by using micro-currents of electricity. It has these two metal balls attached to the device you rub over your face. You feel a slight tingling sensation. 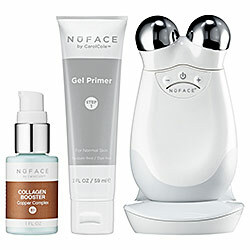 NuFace was FDA cleared for facial toning and stimulation. The idea is that microcurrents stimulate, lift and tone the facial muscles; which is the foundation and underlying structure to our skin. I bought a NuFace at the same time my girlfriend did so we could both try it. My report is that NuFace does not work for anti-aging. It only gives temporary results, like you had a good facial. It increases circulation and causes swelling so you will look better for a day. That’s why they want you to keep using it, once you stop you go right back to the way you were. My girlfriend returned hers to get her money back because she felt the same way about it. There are similar devices out there, they have two silver metal probes or metal balls you rub on your face. My guess is that none of these work for anti-aging. 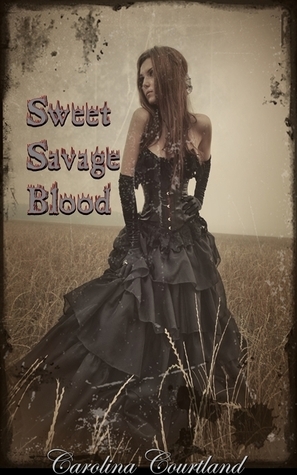 A vampire teen romance, Sweet Savage Blood is the story of undying love sweeping across time from the 19th century to the 21st century.